If we look back at the trends of building, architecture and design over the last few years, we can see a very clear style emerge. More and more builders are opting for the clear, cubic look with straight lines, minimalism precision and factual elegance. In fact onCanada's less snowy West Coast, we are seeing more and more of these structures as people opt for unique and timeless designs that set their homes apart from the others on the block. So while, fancy shapes and traditional silhouettes are beautiful, today we are going to see how simple and minimalist can be just as impressive, if not more. By the time you finish this ideabook, you'll see just what the appeal is. This sobriety can still be versatile, unique and individual, as we will see in this wonderful ideabook that we present you with today. These designs come from top expert professionals from around the world. These all reflect the uncompromising cubic style, while preserving their own unique character and style. We begin with a cubic family house of a special kind. 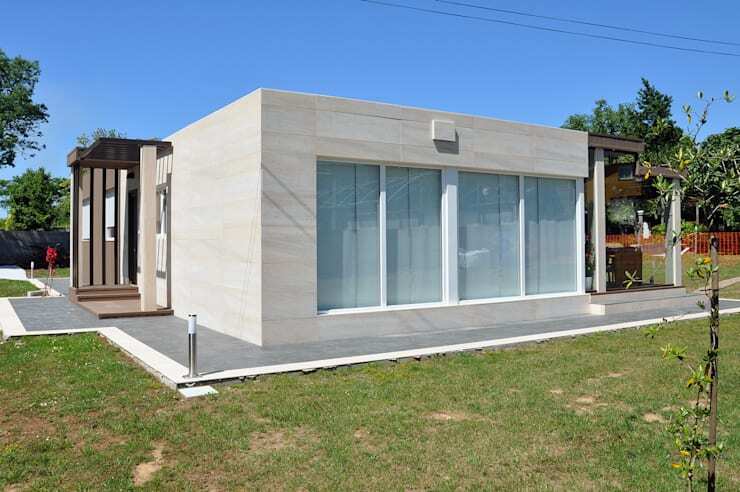 This is a modern prefab house, consisting of prefabricated modules, which are assembled locally. The advantage: this kind of house is ready in no time, can be flexibly expanded, is low cost and features a very contemporary design with quality materials and trendy comforts. Sometimes prefab homes get a bit of a bad rap for not being as high quality as traditional bricks and mortar homes, but this is not the case. 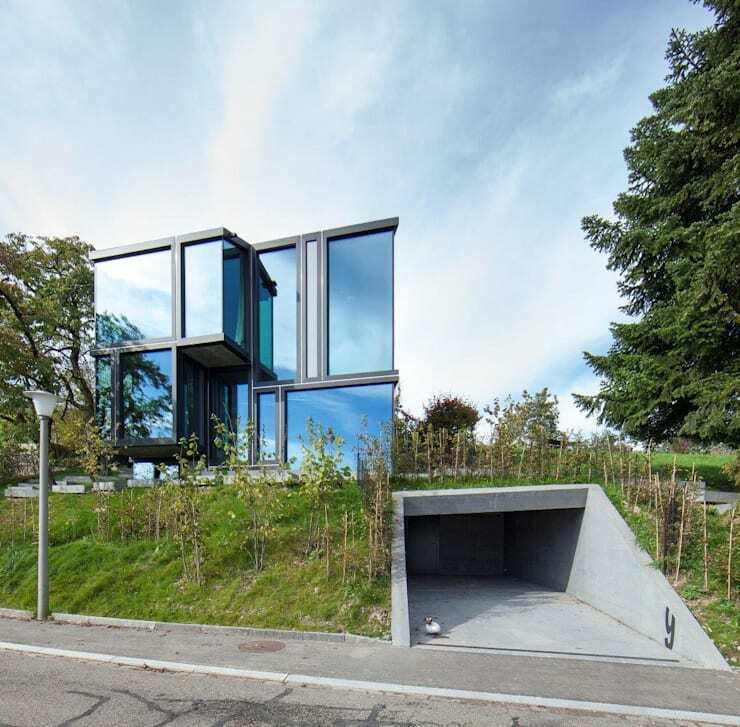 A prefab home, especially in a sophisticated design like this one, can be the best option! You may also be interested in these tips before buying a prefab home. 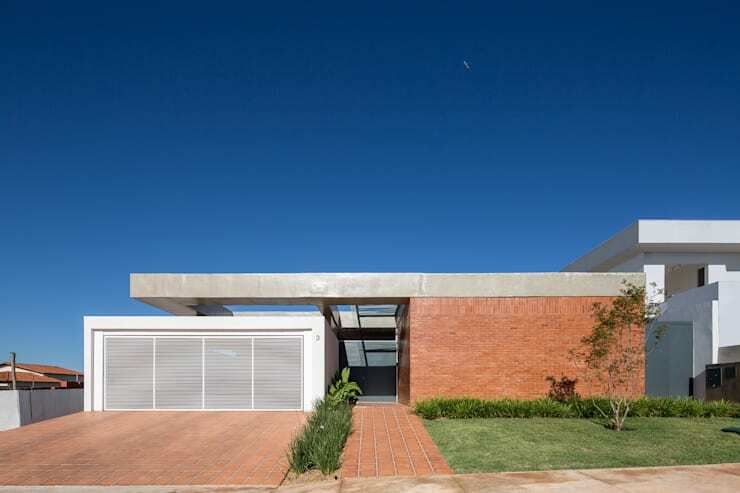 Brick is not necessarily associated with a super modern design. Nevertheless, we can see how a modern design can work with brick materials to create a very cozy look and feel. Brick introduces a very earthy design to a home, as we can see in this example. This house also features a very classic, warm touch with a unique and distinctive personality. Tip: Combine a brick facade with a gorgeous green garden for a beautiful effect. Wood has always been one of the most popular materials and in this design, we can see how it combines with straight, modern lines – a very popular style. The advantage to this is the interaction between the natural and the modern. The natural materials ground the minimalist look, taking away from the severity of the clean edges and sharp silhouettes to create a friendly, natural and cozy home. Don't be afraid to mix materials to end up with a unique style. 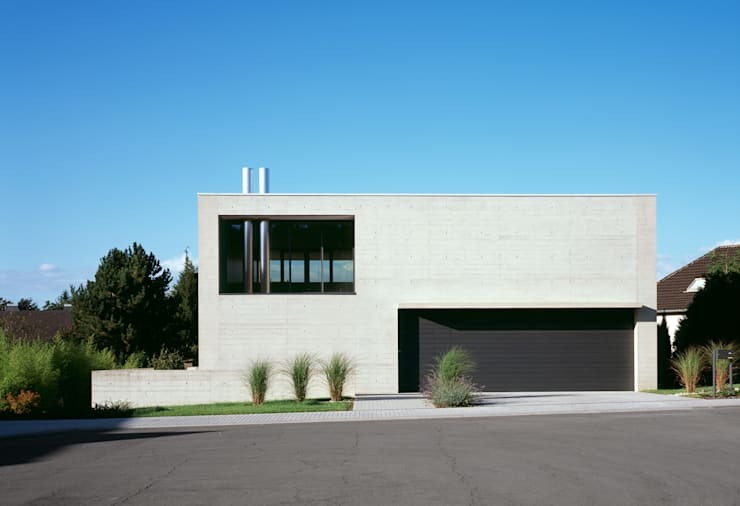 Straightforward elegance and uncompromising directness harmonizes very well with cool, exposed concrete. 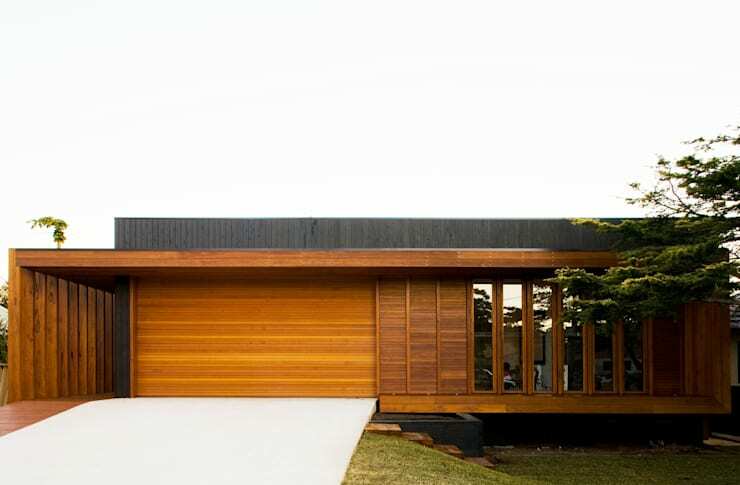 This image shows us a straightforward modern compound that is becoming very popular in architecture today, depending on the style that you like. For some, this overall picture may be just a little bit too sober and cold but for others it's the perfect combination of clean lines and elegant style. To avoid the monotonous appearance, the architects have utilized doors and windows as well as recesses and cuts in the facade, which gives us an exiting visual reference and breaks up the facade. Clean lines and large glass surfaces can work together in modern architecture and are being used more and more frequently. In fact if you like the idea of a glass house, you can see more closely just how dynamic they can be in this glass house with a mind of its own. If you like open, extroverted living with sensational views and an interweaving of indoor and outdoor spaces, a glass cubist style is the way to go! If you like this style, you'll love these cunning cube homes! Would you go for this style?